Say goodbye, Freshman 15, and hello holistic, integrative well-being programs based on health, healing, environmental sustainability, neuroscience, and human performance. Save yourself — and the planet — by going to college! The college years are the optimal period for adults to learn and adopt healthy practices that can be a source of positive growth and personal development for a lifetime. From eating healthy to thinking healthy to living healthy, it turns out that college is the perfect time and place to learn about ways to live in better balance with yourself, your family, your culture, your romantic partner, your neighbor, your community, your workplace, and in positive coexistence with our planet. The current well-being trends on college campuses show that well-being of college students is not just a passing fad. Many colleges and universities are adopting well-being practices, programs, and facilities that places student well-being on par with other mission-critical goals such as global citizenship, civic engagement, and the production of new knowledge. No longer is student well-being considered ancillary to the work of the institution of higher learning. Those working in student services and academic support in college leadership are taking responsibility for the health and well-being of the whole student, which underscores the importance of college life and ways it can shape choices for a lifetime. Working across academic and student services programs, these student well-being programs are changing how colleges and students view well-being. In fact, the global mission of health and well-being on college campuses transcends student well-being and filters upstream to the staff, faculty and the community. Healthy Campus Network (HCN) is a University of California system-wide initiative that promotes innovative reforms in all dimensions of health and well-being “to make UC the healthiest place to work, learn, and live” (Office of the President, 2018). In the past, student health programs have focused on preventing high-risk behavior i.e. suicide, alcohol, drug use, smoking, sexual violence, hazing, eating disorders, and self-harm. In fact, there are new CAS national standards for preventing high-risk behaviors that are being developed currently. The prevention of high-risk behaviors make up the majority of programs and funding dedicated to health and it is rightly so, yet new focus on student well-being provides hope for the promotion of healthy behaviors as well. Taking advantage of current evidence-based research on psychology, neuroscience, human performance, and sustainability, these preventative student well-being measures are as helpful to the students as they are to the institutions themselves. Healthy students means student success. 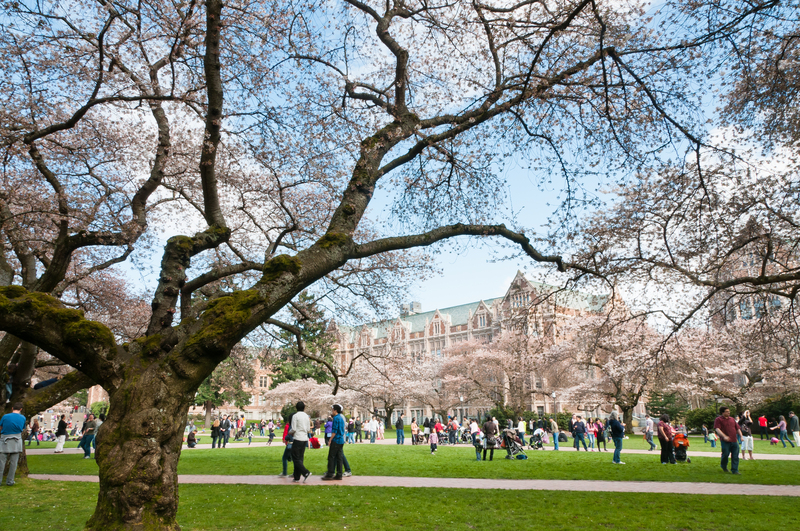 Healthy campuses mean financial and environmental success. Timing is everything and these days colleges face an unusually vulnerable student population. With the pressure of the post-9/11 era, cases of depression and anxiety are off the charts for the general population. As well, changes in technology use with the advent of smart phones and the proliferation of social media as well as the rising cost of higher education and an increase in high school shootings in the last 10 years, the #MeToo Movement and Black Lives Matter Movement, current college students are navigating a perfect storm of stress in an environment that is rife with pressure unlike any other generation in recent history. The annual National College Health Assessment (NCHA) survey showed that a third of students have experienced emotional turmoil that affected their college participation. College students identified the top impediments to academic performance as anxiety and depression. Fortunately, colleges and university are stepping up to the challenge of addressing student well-being with gusto! Many of the nation’s top colleges are instituting wellness programs along with academic research and studies into personal well-being. In fact, student well-being support is now seen as a recruiting tool in luring students during the college search process. Not only do health programs address traditional concerns such as weight-loss, nutrition, and physical fitness, but they also address areas such as mental resilience, sustainability and social ecology, and financial well-being as all playing a role in stress reduction. From Harvard University to the College of William and Mary to the University of Oregon to University of Virginia, substantial research, funding, and facilities have been devoted to student well-being. A healthier college campus means a healthier student and a healthier planet. Colleges are offering programs and peer support groups to support positive mental health and stress reduction i.e. resilience, kindness, healthy eating circles, personal identity support programs for LGBTQ, single parents, military veterans, low income students, and first generation support programs such as Umoja, Friend-to-Friend, and well-being protection programs such as Active Bystander Programs, and Peer Education on Early Alerts, and Finals Stress Reduction Programs. Colleges are participating in and offering Health and Safety Hotlines, Early Alerts, Beyond Consent, Habitudes, Health Education Awareness Resource Teams, Healthy Campuses, 8 Dimensions of Wellness, Healthy Minds Study, MyPlate, College Farmer’s Markets, Greenest College Rankings, and Restorative Justice. Colleges are offering college credit for health and well-being practices such as volunteering, interning, and working in ways that benefit your health, community, and the planet. In addition, colleges are offering classes in Social Ecology, Positive Psychology, Stress Reduction, Mindfulness, Relaxation, and Self-care. Complete majors and degrees are offered at the Positive Psychology Center and my own major, Holistic Health Education, and Environmental Sustainability. Join the party for student well-being on the college campus! While college is certainly a time of stress, pressure, and challenge, more and more colleges are stepping up to remove the stigma and shame that comes along with asking for assistance with stress, anxiety, and depression. As well the idea of well-being is growing to include not just physical health, but mind, body, spirit and community. By making programs visible, welcoming, and accessible to all students, more students will develop and learn healthy habits that will continue to benefit them and our collective community. Student health is not just about avoiding the Freshman 15, now it is about developing healthy habits for a lifetime! So, ask for help, seek out support, and find out all the ways that you can be a healthy and happy college student and maybe save the world along the way!